The annual Christmas tree lighting at The Village at Shirlington (2700 S. Quincy Street) will take place on Thursday evening. It begins at 6 p.m. with a Signature Theatre holiday production featuring the cast of The Holiday Follies, with the tree to be lit at 6:30 p.m.
That will be followed by pictures with Santa in Hardwood Artisans (2800 S. Randolph Street) and a performance by the Bishop O’Connell High School Choir at 7 p.m. The evening will also feature horse and carriage rides, strolling entertainment and live music, as well as specials at local shops and restaurants including Cheesetique, Busboys & Poets and Le Village Marche. 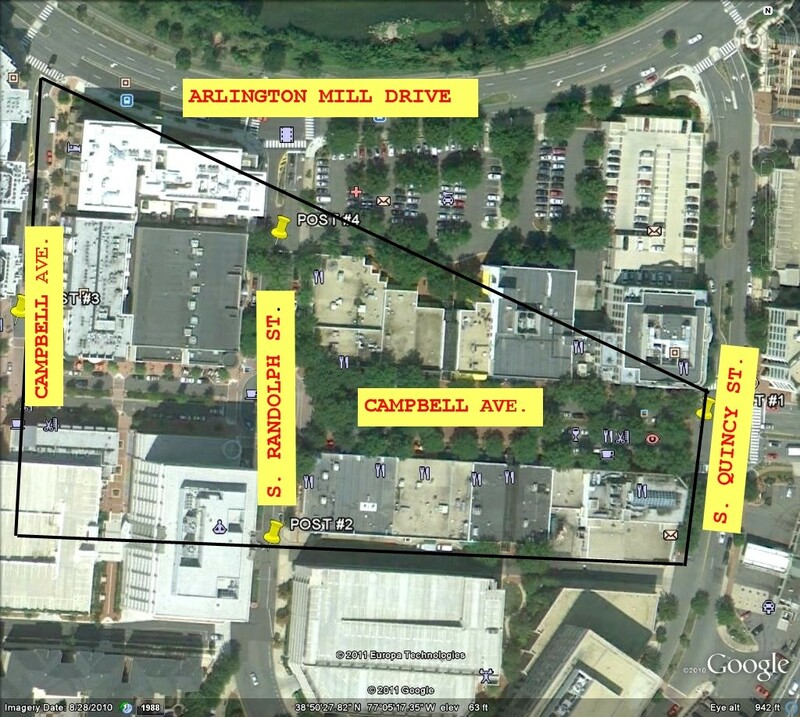 Vehicles will be allowed to exit the covered Harris Teeter parking structure onto Campbell Ave. until 4:00 PM, then must use the alternative entrance accessed from Arlington Mill Drive. Drivers are warned that traffic in the area may be congested throughout the event and alternative modes of transportation are recommended. Street parking in the area will be restricted and drivers should be on the lookout for temporary “No Parking” signs. Illegally parked vehicles may be ticketed or towed. If your vehicle is towed from a public street, call the Emergency Communication Center at 703-558-2222. All areas within the lines on the included map will be closed to vehicular traffic during the actual event (4:00-9:00 PM).